When you’re 28, living with your parents and your annual income is so small that even the smallest expenditure leads to more soul-searching than you care to imagine, it’s hard to persuade people that you are a prospect worthy of investment, a talent worth nurturing. Pro sports is replete with stories of stars who were on true verge of quitting but got a helping hand just when they needed it most. What would have become of Paul McGinley if Padraig OhUiginn had used his considerable clout as Secretary-General of the Department of The Taoiseach to free up funds to back his move to the University of San Diego? Where would Pádraig Harrington have ended up without those early sponsors or Darren Clarke, when he borrowed money to buy a cashmere coat and turned up to see Chubby Chandler about representation, looking every inch the superstar he went on to become. 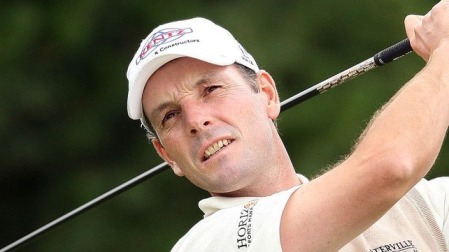 McGinley, Clarke and Harrington all battled their way through the hard school of knocks, I hear you say — the Q-School. But while old school pros like Des Smyth will recall a time when sponsorship meant playing everyone in the Links Golf Society on the card over the winter to scrape together the money to fund his early forays onto the European Tour, the golfing landscape has changed utterly over the past decade. Cian Curley, back centre, with the 2008 Irish team that won the European Amateur Team Championship. Shane Lowry was a member of the same team. Having some financial backing, however, small it might seem to those handing over the cash, is a huge boost to the modern player looking for another reason to put in the hard work when it would be far easier to throw in the towel. Within a few months, Kinsella turned the £150 into £800 and within a year, he was accepting a £1,500 fortune from the future King of Spain for winning the 1972 Madrid Open at Club de Campo, the same course where Harrington would win his first event 24 years later. 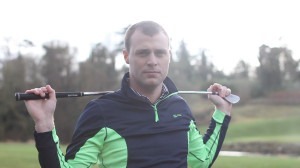 Curley – a former Irish international, East of Ireland champion and Irish Close runner up — is taking the modern route and joined another nine young Irish sports people at Pledge Sports, a revolutionary new crowdfunding platform that’s designed to help fund professional athletes, teams and clubs. How does it work? It’s simple. By reaching out to their fans and the general public through their Pledge Sports profile page, they offer fans something in return for a raft of small investments as they try to reach a set amount goal amount that will make a massive difference in their battle to make it through the pro sports jungle. Fans are encouraged to support through donations and in return can receive rewards such as being publicly thanked via social media, raffle tickets to win valuable items, signed merchandise, coaching and mentoring. For €50 you get all of the above and a signed photo, for €100 you get than and personal golf tips. Up the ante to anything between €500 and €3,000 and you could anything from a corporate day to logo placement on Curley’s clothing. A massive $5.1 billion was raised globally through crowdfunding last year and that figure is expected to double in 2014 to over $10 billion. As Pledge Sports said at its launch this week: “Companies can get promoted through social media, brand endorsement, photo calls and brand ambassadorship. It's a great grassroots PR story for any company seen to be helping out our most talented athletes. It is essentially a form of micro sponsorship for companies." Curley has joined a team of promising young Irish sports people such as swimmer Barry Murphy, eventer Camilla Speirs or 1,500m runner John Coughlan, son of former world champion Eamonn Coghlan. It’s a no-brainer for Curley, who could need anything from €15,00 to €30,000 to fund a full season’s golf that will see him compete on the PGA Europro Tour, the Challenge Tour and return to the Q-School having been forced to give it a miss last year through lack of funds. “I’ve tried everything at this stage and had almost give up, but this could be really great for me,” says Curley, who will return to action on the Europro Tour in April. “If people support me, no matter how small their support might be in money terms, they will get something back in return - a simple thank you, a round of golf, a lesson… right up to branding and corporate golf days. I know it has worked in the US and Canada but I don’t think it has be tried on his scale in Ireland before. 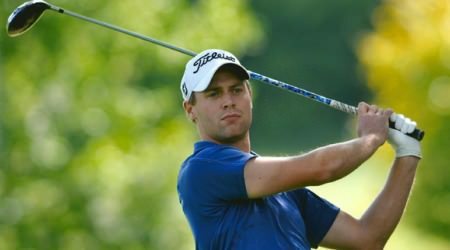 Having helped an Irish team that featured the likes of Shane Lowry to win the European Team Championship in 2008, Curley finished runner up in the 2009 Irish Close before going to win the East of Ireland in 2010. He shot 69 in his first pro start, injured his back warming up for the second round and missed the next six months. Since then it has been a struggle with more highs than lows. But having toyed briefly with the thought of joining some many others in throwing in the towel when he was at his lowest point last year, he’s hoping Pledge Sports can help re-iginite his career. “I didn't have a good year last year and after only playing six events I stopped in August to assess where my career was going. I needed technical help to get some confidence back into my game and that’s worked brilliantly and I am putting the ball in play off the tee now. "I would have expected to progress a little further after nearly three seasons as a pro but I think, I’ve always had certain flaws and the professional game exposes them a bit. 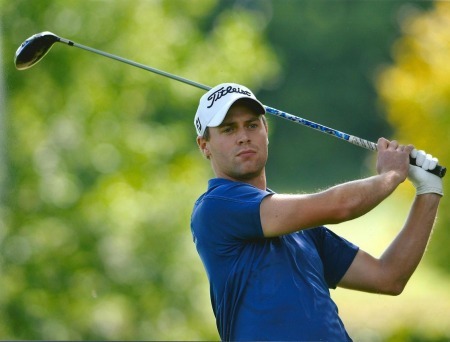 “Last year I really struggled with my driving and made the cut in only three of the six events I could afford to play. I wasn’t progressing as I wanted even though I’ve been to Stage Two of the Q-School and come close to getting through. I simply didn’t have the money to go last year. “As hard as it was not to go, I decided it was better to start preparing for this year. I am now 28 and it has been a bit of a rollercoaster, but here I am three years later, feeling more positive than I have ever felt about my game. Things are looking up. “Six months ago I was thinking about all the guys I have seen pack it in. And I admit, the thought did cross my mind. But I’ve put a new plan in place and been working hard on it since last September. To be honest, perhaps I needed to have that season to make the decisions that I needed to make to go forward. Getting off the mini tour merry-go-round is now the goal and if his crowdfunding campaign works, he will have enough cash to give it a real go this year. While God helps those who help themselves, a helping hand at the right time could make all the difference. Contact Cian Curley through his website (www.ciancurley.com), via Twitter @ciancurley or via his campaign page at Pledge Sports. Cian Curley took his first major step on the road to success in the paid ranks when he chiseled out a “professional” level par 72 in the final round to win the East of Ireland Amateur Open by two strokes at windy Baltray. 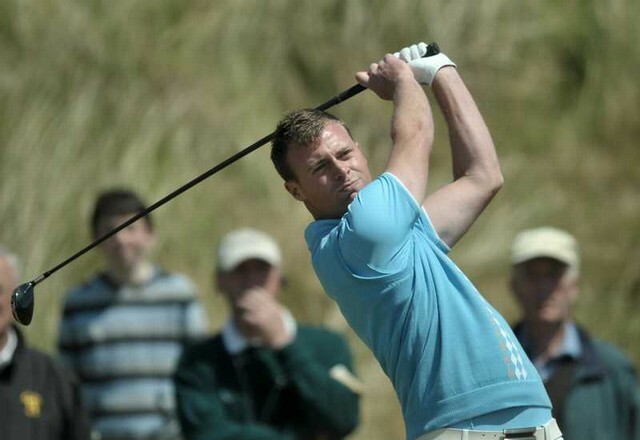 Newlands’ Cian Curley was the top Irish qualifier in the 54-hole PGA Europro Tour Q-School finals at Frilford Heath. David Higgins comfortably made it to the Second Stage of the Qualifying SchoolDavid Higgins knows that you have no business going to Q-School if you cannot cruise through Stage One and the old dog proved to be the man for the hard road when he headed the six Irish contenders to survive the Section B qualifiers in England and Germany this week. Cian Curley made a positive start to the Europro season at Wensum Valley. 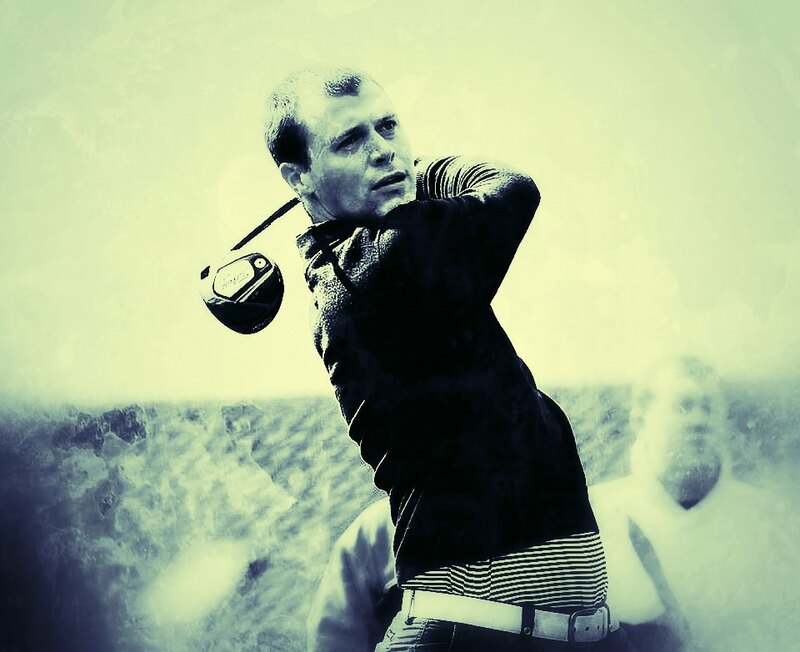 Newlands’ Cian Curley survived a bumpy week on the greens at Wensum Valley to finish as the best of the Irish in the opening Europro Tour event of the season. Can McIlroy finally win a strokeplay event on a links in 2014?